Are you one of those people who think that the podcast is just another time wasting medium? If yes, keep reading. If not, do the same. We all know that to be a great marketer, you have to be up-to-date with the latest news and trends in the marketing world. The problem is - who has enough time for doing that? World top marketers are choosing podcasts as a powerful learning tool. 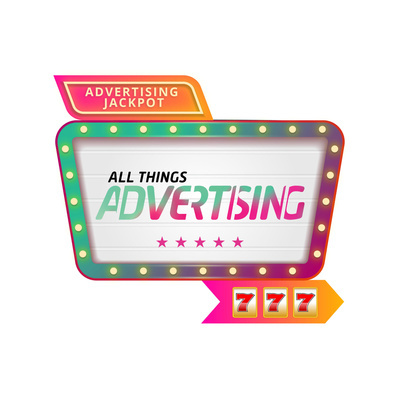 That's why we developed a 777 theme podcast called "Advertising Jackpot"! No games here. Only highly valuable and easily digestible information. If you don’t know the basics of color psychology then you’re losing money. It’s that simple. According to HubSpot, simply changing the color of a call to action button can increase sales by 21%. How Color Psychology Impacts Your Advertisements Choosing the right color for your advertisements is more important than you think. According to color psychology, colors have a strong influence on your emotions. There are also certain connotations we connect with specific colors. If you pair the right colors with your advertisement, you’ll be able increase your advertisement’s overall influence. Join us Dr. Lisa Van Allen a clinical psychologist, executive coach, spiritual director, and award winning author with over 30 years in private practice dive into the psychology behind advertising. If you don’t know the basics of color psychology then you’re losing money. It’s that simple. According to HubSpot, simply changing the color of a call to action button can increase sales by 21%. Basic connotations associated with colors Each color palate has its own set of connected meanings and emotions. And as you get more specific, you’ll find individual colors have their own emotions they evoke as well.